Use End Caps, and Tip Caps with any IntelliSpense™ Pneumatic Syringe to seal the syringe barrel between uses, shipping pre-packaged syringes, or to seal off any IntelliSpense™ valve. End Caps fit the back side of Pneumatic syringes according to size of the syringe, and are sold in packs of 50 or in Bulk bags of 1000. 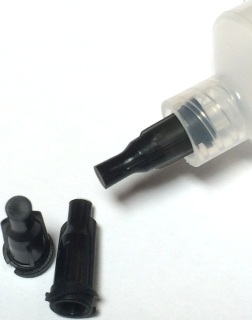 Polypropylene Luer Lock Tip Caps fit the outlet on all syringe types and sizes. 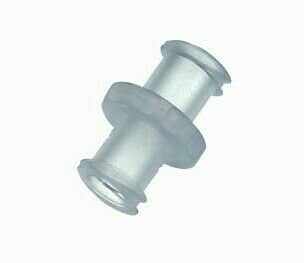 The Luer Lock threads will hold the cap on more securely than the press fit onto the Luer Slip. This Polypropylene Luer Lock helical threaded Tip Cap is intended for sealing the outlet of any manual or pneumatic syringe. 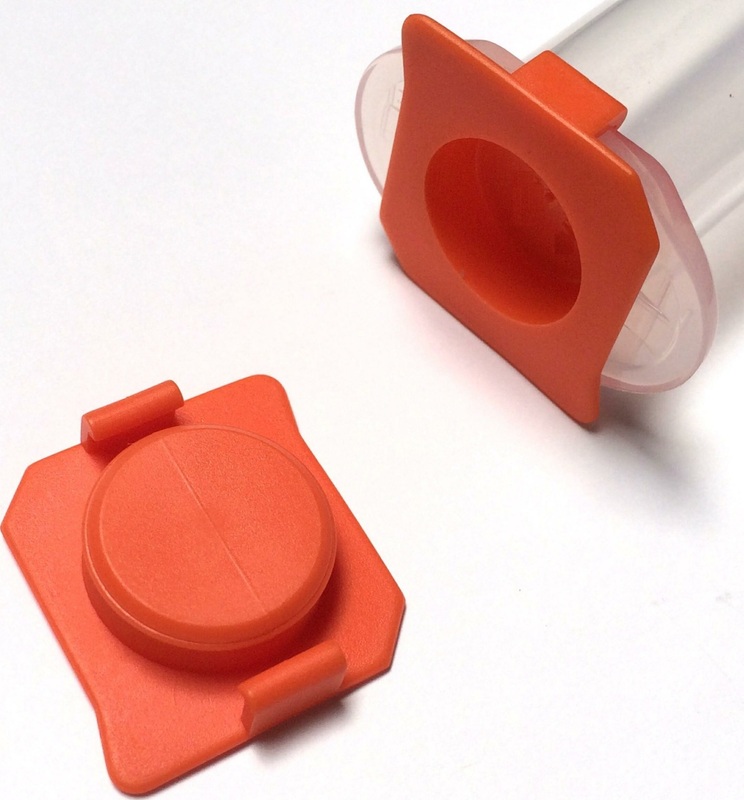 Perfect for filling syringes, storing syringes and shipping syringes. Black color is standard, Various colors available as special order. Please contact IDS for different color. Pricing is for boxes of 1000. Please contact an IDS rep for bulk order quotes or different colors. 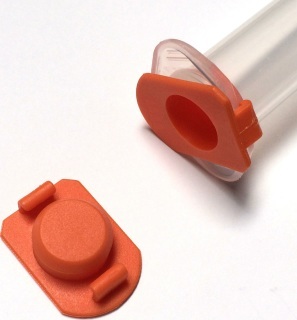 Use End Caps, and Tip Caps with any IntelliSpense™ Pneumatic Syringe to seal the syringe barrel or needle between uses, shipping pre-packaged syringes, or to seal off any IntelliSpense™ valve. 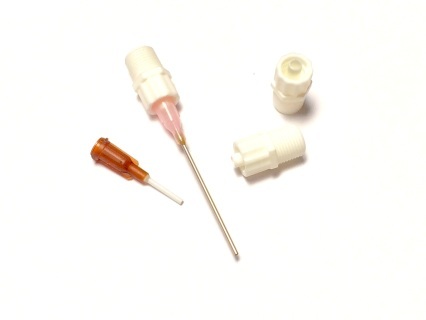 End Caps fit Pneumatic syringes according to size of the syringe and are sold in packs of 50 or in Bulk. 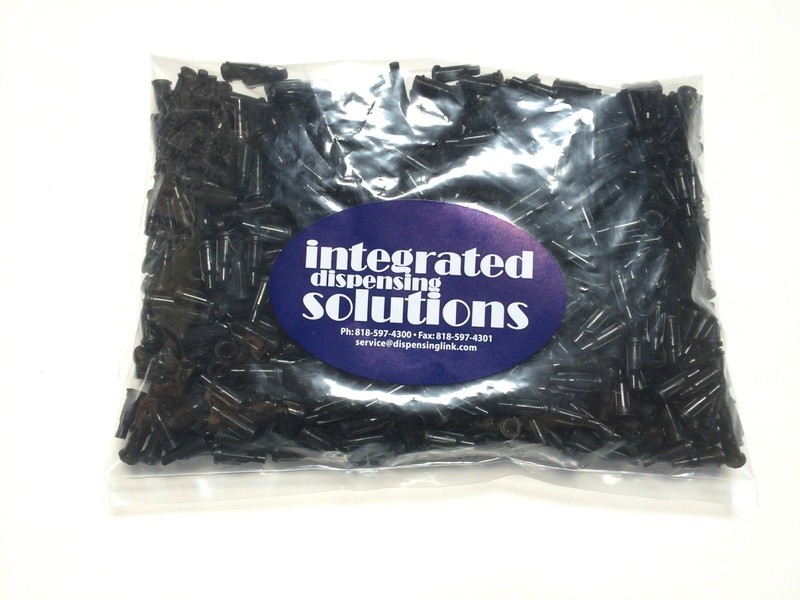 Contact IDS for Bulk. The 30cc and 55cc pneumatic syringe are the same diameter. This is why the part will fit both sizes! NOT Intended for use with IDS dispensing cartridges. 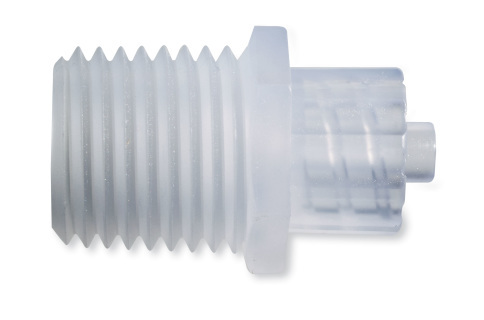 The APMF149PKG includes 10 of the APMF149 Nylon adapters. 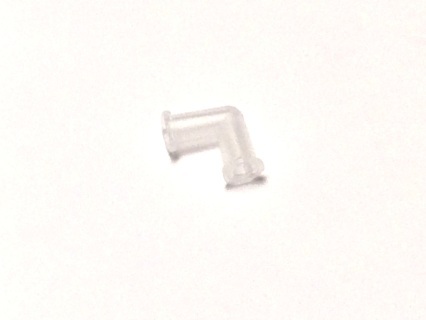 1/8-27 Male NPT thread to luer lock adapter. Locking Nut molded into hub is a 7/16" hex.